I saw a lemonade stand today, something I haven’t seen in a long time. Warm childhood memories came rushing back as I watched the two kids playfully wait for their next sale. Naturally I had to buy a glass, and it was delicious. It dawned on me that these two kids were probably netting a larger profit than most of the local businesses in the area, and that made me laugh! Because of their youth, inexperience, lack of formal education and outside influences, these kids were doing something simple and pure. They were focusing on one thing and doing it well. They were selling lemonade. One flavor, one size and one price. There were no up sells or discounts, no additional employees and no complicated point of sale systems. “This is a cash only establishment,” the young girl firmly told me. As we grow older and “wiser,” we tend to complicate things, in life and business. More is better we’re taught. More features, more products and more options. It’s taken me twelve years to realize this uncomplicated fact: Simplicity is key. A three word phrase that holds more power than any business book or publication. 37signals.com, Google, Facebook, In-n-out, Ipods, Flip cameras, Wikipedia, Craigslist, Youtube, Twitter, Tumblr, Plentyoffish.com and Subway. What do these businesses have in common? They are simple and focused. 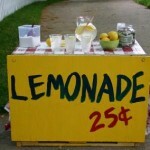 When developing your new business concept, never be afraid to embrace that lemonade stand simplicity. Focus on the key objective of your business. If you’re developing a website, watch out for feature creep. If you’re opening a restaurant, keep the menu simple and stress quality over quantity of items. 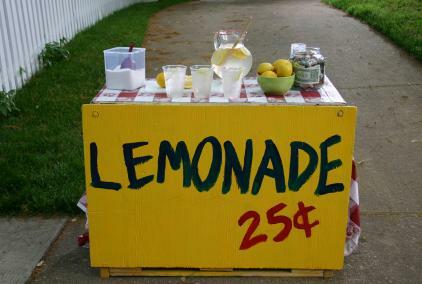 As a thought experiment, I imagined what would have happened if I took over that lemonade stand for a week and let my little entrepreneurial devil go unchecked. First I’d buy a cash register, there’s no way I can trust these little kids to handle the money properly. I’d implement credit cards using my trusty Iphone credit card swiper, which means I’d also have to open a bank and merchant account. One flavor is boring, we need at least three. And while we’re at it, we should offer small and large sizes. While word of mouth advertising is good, I think we should make some discount coupons and hand them out around the neighborhood. Did you apply for your resale number yet? We’re going to need that if we plan on expanding throughout the rest of the neighborhood. Did you do a cost analysis on the lemonade yet? What do you mean you’re only 9, that’s business 101 kid! Better add a little more water to that mix so we maximize profit. This isn’t fun anymore? Stop complaining. Who said business is supposed to be fun!? Give me a few years and I’ll turn you into Gordon Gekko. See what I mean. It’s easy to complicate things. But don’t! Simplicity is key. Repeat that out loud until you’re blue in the face, and then repeat it some more! And now it’s time for me to go back and get another lemonade..
Fight, Flee or Just Plain Panic! 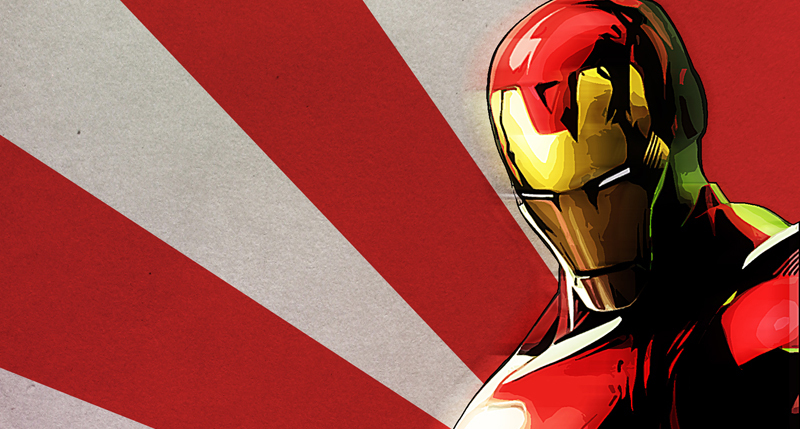 Serial entrepreneur, Nascar driver, treasure hunter, student, dreamer, idealist, total geek. Good work, man. You deserve it. Keep it up!